Daily Manna 20 November 2018 – MOSES NEVER PLANNED FOR THIS! TOPIC: MOSES NEVER PLANNED FOR THIS! Just consider Moses leading between 2 to 3 million people requiring food in the desert. Years ago, the Quartermaster General of the American army dropped a bomb shell that was a food for thought even for Bible school lecturers (A Quartermaster General is the staff officer in charge of supplies for the whole army. He is in charge of unit and personnel, i.e. those tasked with providing supplies for military forces and units). According to the Quartermaster General of the American army, it is reported that Moses would have had 1500 tons of food everyday requiring two freight trains, each 11/kilometers long just for one day. And just think about it; they were forty years in transit, in a wilderness. And oh yes, they would want to have water. If they only had enough to drink and wash a few dishes, it would take 11 million gallons each day and a cargo train with tanks that are 2,500 kilometers long just bringing water. And then another thing – They had to cross the Red Sea at night. Now, if they went through a narrow path, double filled, the line would be 900 Kilometers long and would require 35 days and night to get through, so there had to be space in the Red Sea, 4 kilometers wide so that they would walk 5,000 abreast to get over in one night. Lastly, they require a camp ground which could had been two thirds of the city of Accra or two thirds of Rhode Island in USA or two third of Lagos, Nigeria. This has been called by experts as world’s biggest miracle! 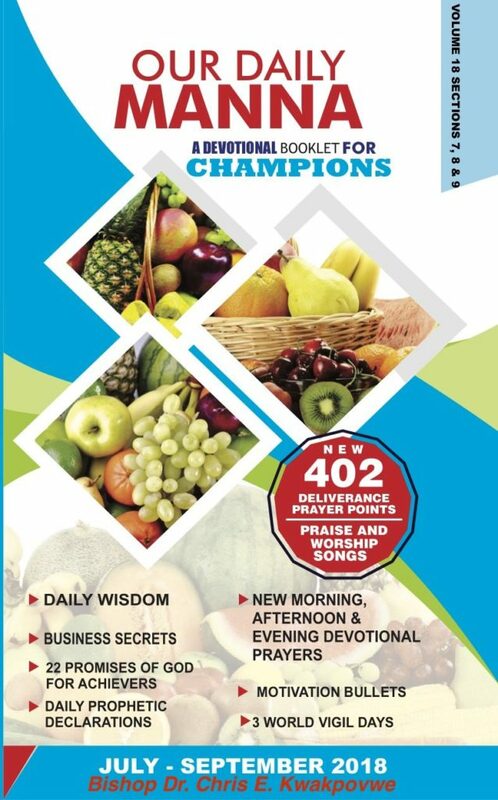 READ Our Daily Manna Today 24 April 2019 - LOOSE YOUR ARMOUR BEARERS! Do you think that Moses planned with these data in mind before stepping out? No! No! No! Don’t you think that the God that did this for Moses can also take care of your life, family, academics, business and ministry? As 2018 ends and 2019 rolls in, this God will release provision for entire your life, family and ministry, if you refuse anxiety! Read today’s scripture again and trust in the God called, “JEHOVAH JIREH.” Your provision of money, good health, husband, wife, helpers, etc, shall be sure! Resist anxiety! Trust God! Trust God! Trust God! Shame will never be your last biography chapter! MUST DRY UP.” Expect an Eleventh-Hour Miracle! 1. Pray about today’s word as led now. 2. He is the Almighty! Lift up your hands again and worship your God as you are led. 3. Worship Him for that present need in your life and ministry. 4. Pray about today seriously as led now. See page 7 for the devotional prayers. Sow the 2019 ODM booklet into other lives. 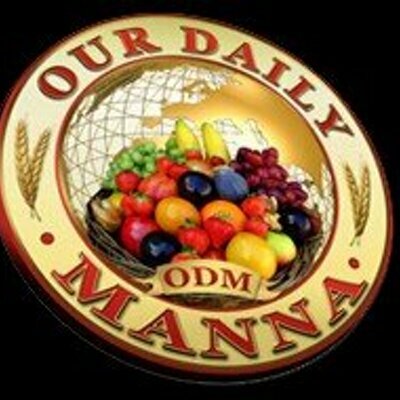 Previous Post:Daily Manna 19 November 2018 – UNCOMMON PEACE! Next Post:ODM Daily For Champions 21 November 2018 – STOP THE TORMENTORS NOW! TESTIMONIES FROM FASTING PROGRAMMES! YOU ARE NEXT!